It’s advertised as a bar, but it won’t be the die-hard whisky nerds, nor the troubled ‘hear my story out, barkeep’ souls that will fill the stools at Monkey’s Corner. Sure, the words gin, vodka, and whisky do make standard appearances; however, I suspect that the words you’ll be looking for are: trout belly, ox tongue, and kingfish collar. Don’t forget the rice bowls. I was invited to Monkey’s Corner, courtesy of Sweaty Betty PR. We were offered compensation in the form of an $80 discount off of the bill. Our total expenditure came to $267; the outstanding amount ($187) was paid by me. While the compensation was partial, The Usual Disclaimer continues to apply. Update 20/Apr/2018: I have since made 7 visits to Monkey’s Corner, five of them independently paid for. The overarching commentary on the quality of the establishment remain similar and still broadly apply. It’s a great place, do go. The Poernomo brothers have been busy. 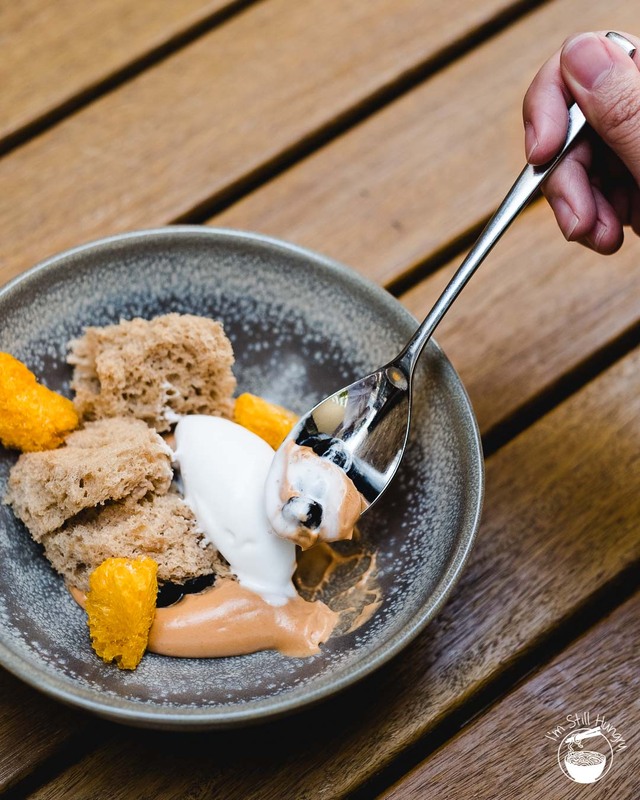 2015 was only two years ago, but household name Reynold Poernomo and his brother Arnold have taken KOI Dessert Bar to greater and sweeter heights. It is as packed today as it was in the first week since opening, with the crowds being much-deserved: there’s simply no competition (well, perhaps bar one). But the powerhouse Poernomos didn’t rest on their well-stocked pastry cabinets. 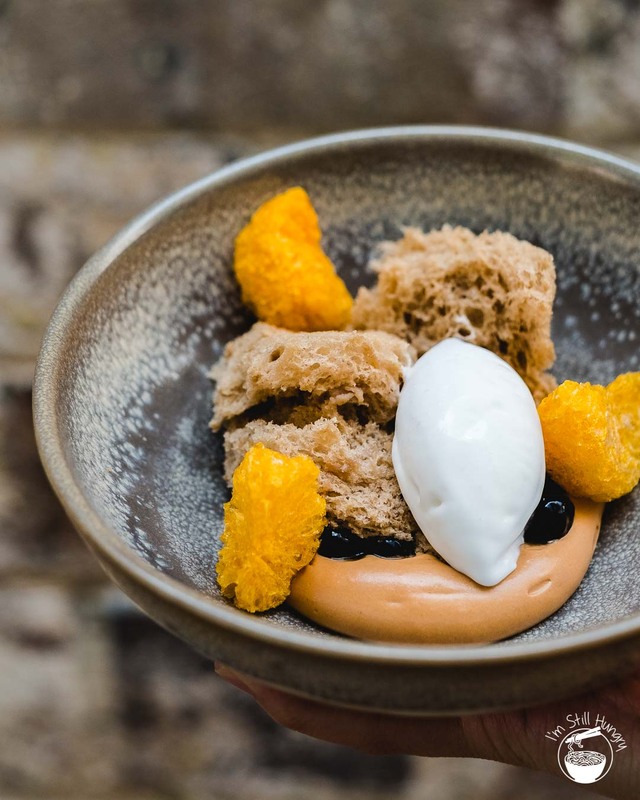 While KOI offers savoury options to go with its dessert degustation, it was always going to be typecast as ‘the dessert place’. Arnold, the savoury gun behind the pans, was never going to change that – no matter how skilled. So he went around the corner. Right next to KOI: so you can go for desserts right after! Monkey’s Corner, to be exact. 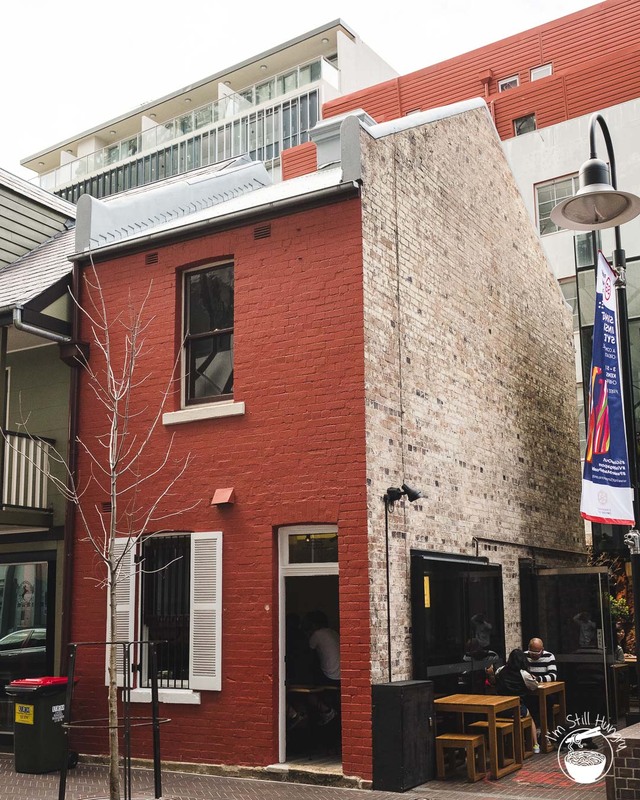 Ensconced in a cute red terrace right next to KOI, the small space allows Arnold and team to fully flex their savoury chops. 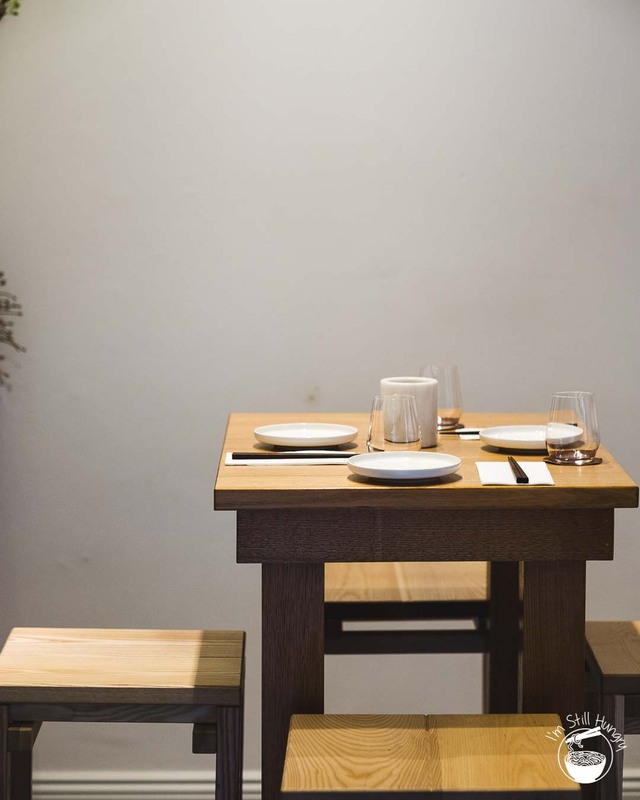 There are challenges, no doubt: the space is small & cramped, in some ways much like many Japanese restaurants on which the menu is modelled. The kitchen is not exactly world class either: There’s no pan or deep frying – only boiling, steaming, and perhaps the lick of a blowtorch is permitted. This greatly limits the food selection. As I said, there are challenges. Challenges that Arnold & co. rise up to. 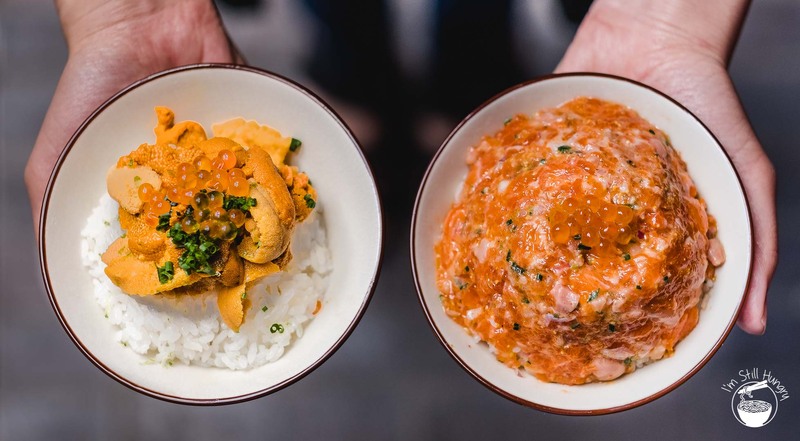 While Monkey’s Corner is ostensibly a liquor bar, as far as I’m concerned, it’s the Japanese & Southeast Asian small plates, served tapas-style that will define its success. There is a strong focus on seafood, to the point that I must advise you to reconsider visiting this Spice Alley joint if sea critters are not up your alley. We very nearly ordered the entire menu, so I feel like I’m in a good position to comment on the potential success of Monkey’s corner: lightning may well strike twice for the Poernomo crew. 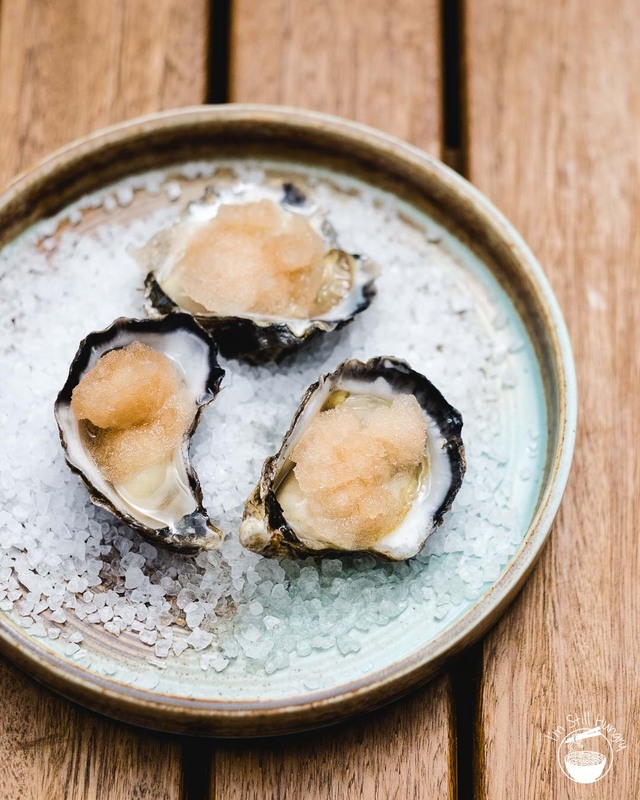 Sweet & salty Sydney rock oysters gave a first clue into the umami-rich train ride that defines the food at Monkey’s Corner. At $4 each they weren’t on the cheap side. However, you’re paying for that umeshu mignonette granita, in all its tart & plum glory. As a famous sushi chef once said, anyone can get reasonably good quality seafood if they pay for it, it’s what you do with it that counts. That granita? It counted. In fact, we ordered another three near the end of our meal – yeah, they’re that good. When you eat at fine dining restaurants often enough, food from regular establishments sometimes appear to lack plating creativity and/or finesse, notwithstanding that the dish may still be utterly delicious. 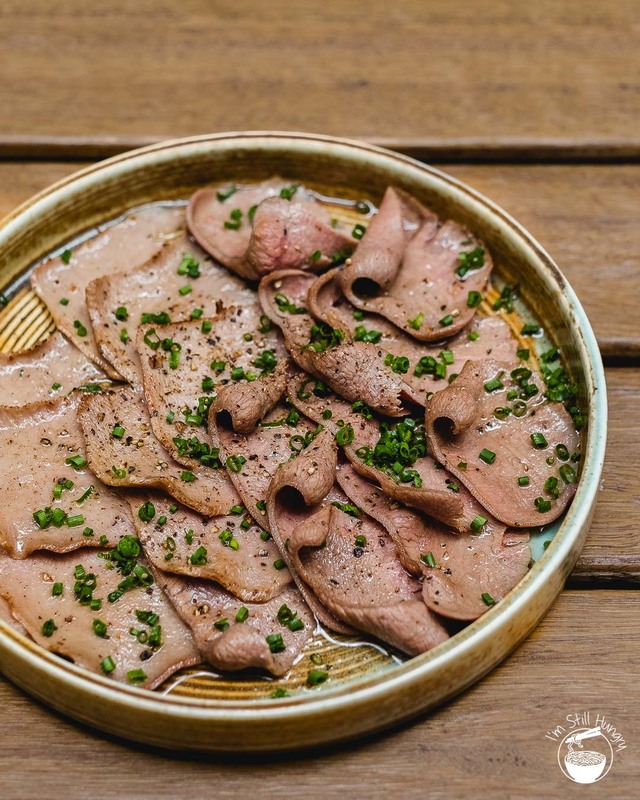 And then there is the ox tongue w/beef fat: getting me to believe once again that plating doesn’t have to be exuberantly reductive in order for it to leave an impact. It screams flavour, deliciousness, and oh yes – perhaps just a little bit of guilt. Yes, there is a lot of beef fat. No, it is not optional – nor was the lime, being immensely helpful in cutting through the richness of the beef. And then there’s the preparation: In a world where ox tongue’s standard preparation by amateurs who think they can cook (oh hai that’s me) is to char-grill them until they become more coal than meat, Monkey’s Corner defies the norm, slow-cooking them over two days in an immersion circulator, for a perfectly tender texture with no fear of overdone meat. It’s difficult to criticise the dish, it really is. In fact, all I can say is that I wish the S&P seasoning were more liberally and evenly distributed amongst all pieces of tongue. The ones closer to the plate got less, and thus required an extra hit of seasoning. 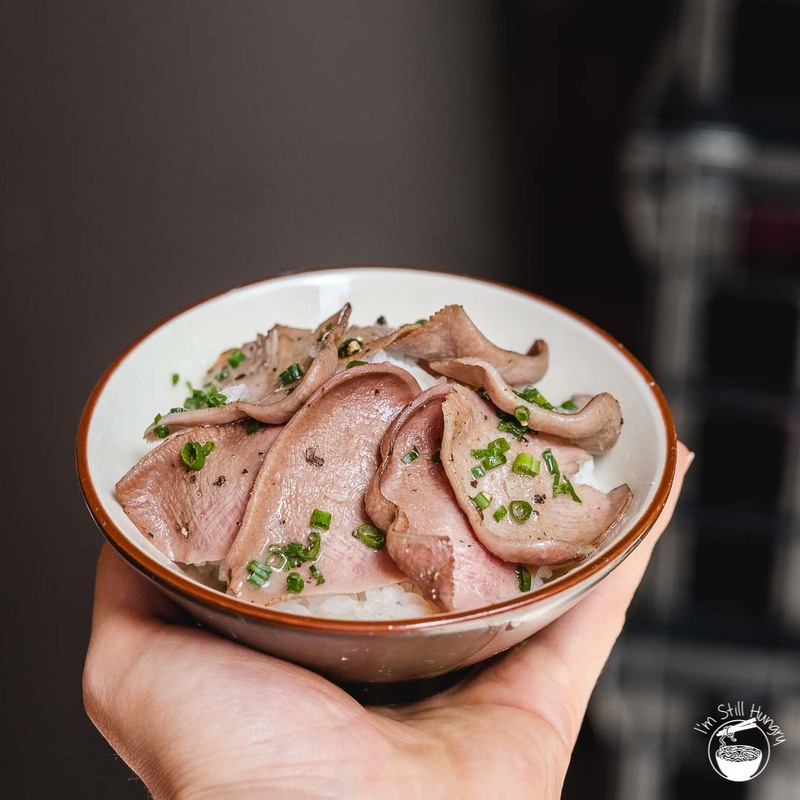 Oh, and did I mention you can get the ox tongue in rice bowl form? While certainly a great way to eat it, the rice bowl is actually very poor economics: this bowl (with only 8 pieces of tongue) is $13.5; the above ox tongue dish is only $1 more, but comes with 20 pieces. You do the math. Get the tongue, order a side of rice separately, and shout me a beer for saving you the money. 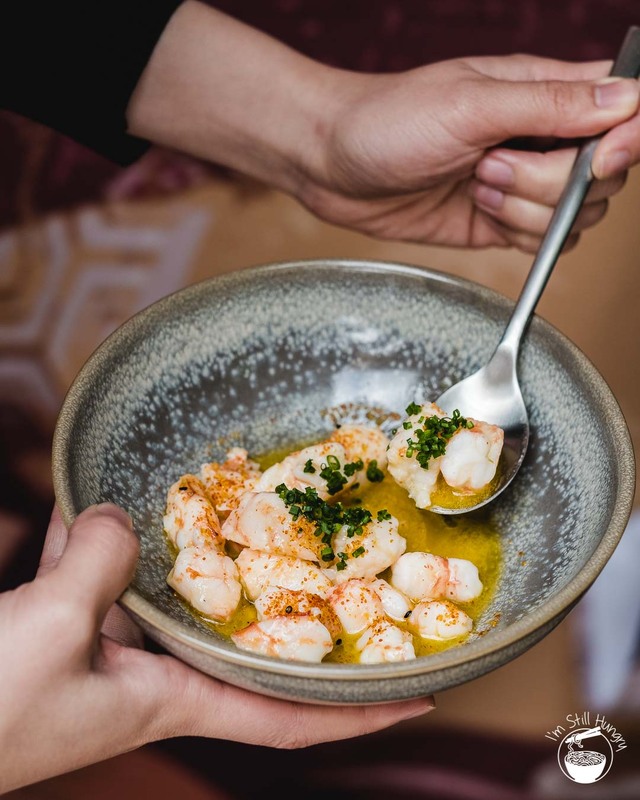 The standard of food is strong enough such that something like wild king prawns w/konbu butter – a dish that would be a fine entree in another restaurant, was relatively ordinary. Juicy, chewy prawns swimming in a warm broth of buttery goodness was slightly marred by the scarcity of konbu, resulting in a dish that needed a hit of salt that it didn’t quite have. Sometimes, the event leading up to the big reveal is itself worth talking about. 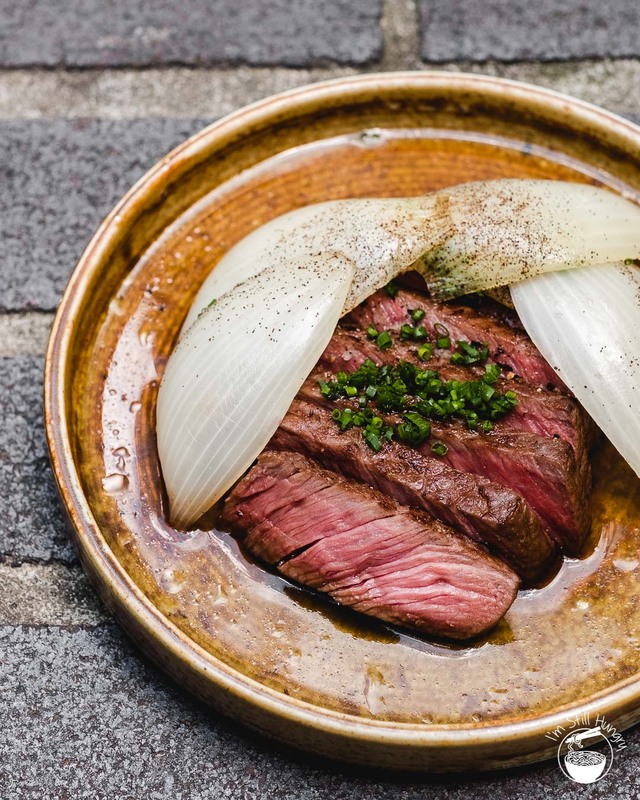 Case in point: the gorgeous onions ensconcing the wagyu sirloin. 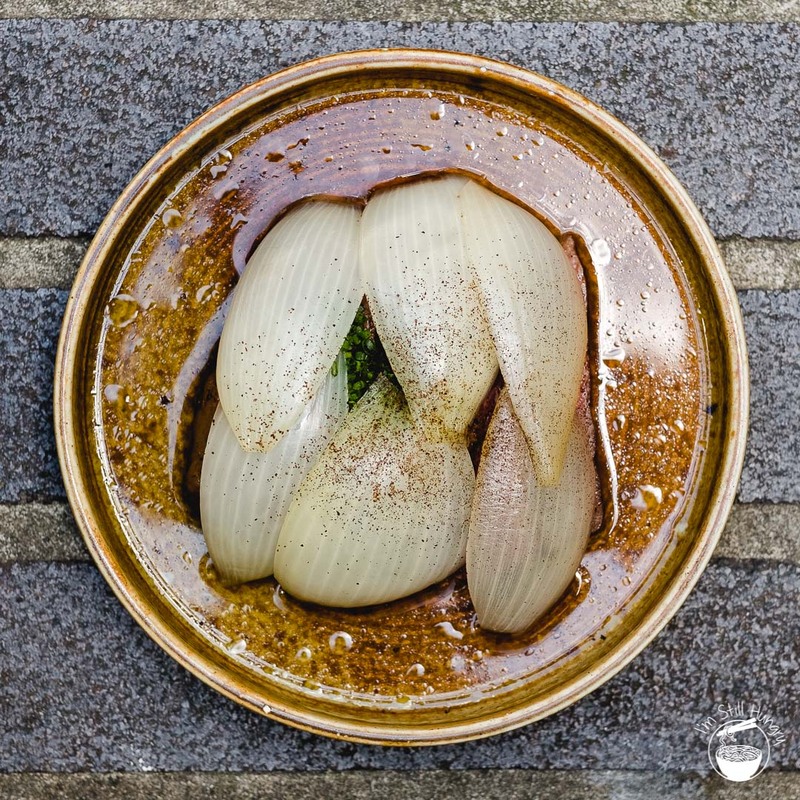 Pickled to a Goldilocks vinegary-sweet crunch, these onions would go with anything: on top of rice, nestled within a sandwich, or just straight. And what a main event it is. 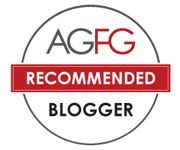 Really nice beef, cooked really well – there isn’t much more to talk about. Well, other than the fact that this is also a product of slow-cooking – I can’t recall the last time I had beef this good didn’t come off a hot plate or grill, but there we have it. If that wasn’t enough, a balanced ponzu & soy dressing laced with soy (and is that mirin I taste?) tied it all together, for I’ll-be-back-for-this results. 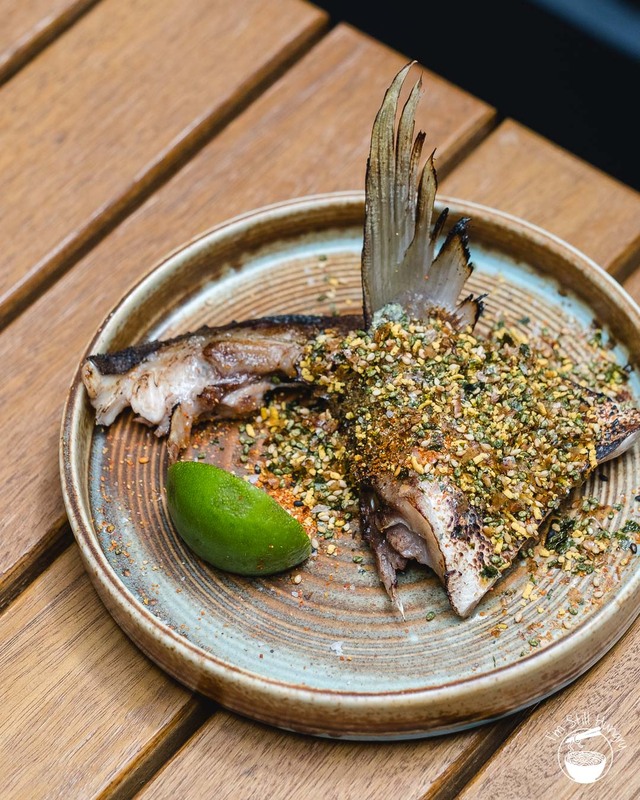 Speaking of dishes worth coming back for, the kingfish collar w/shichimi & furikake easily makes the list. 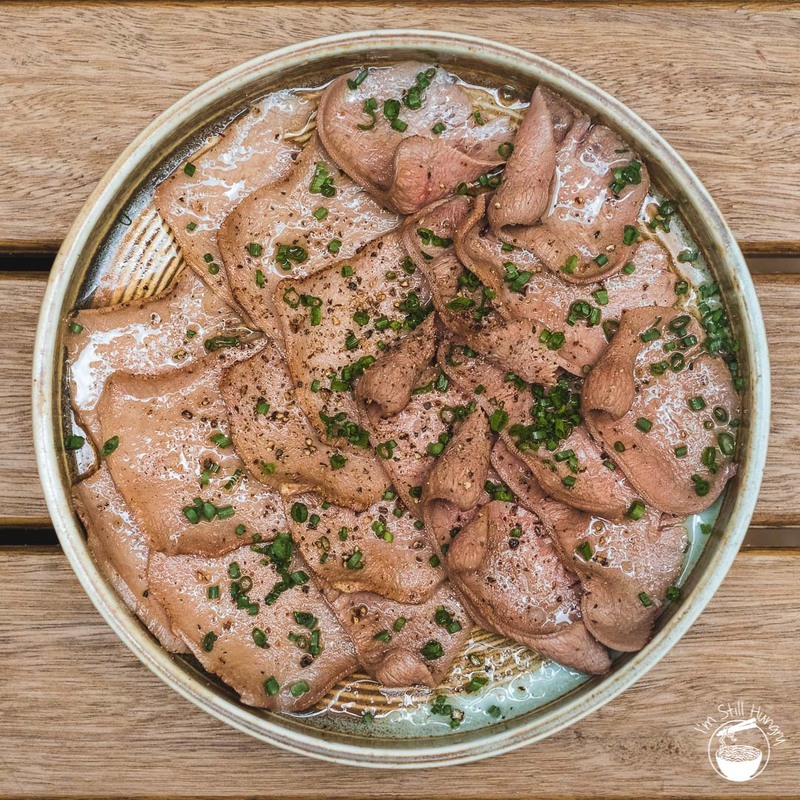 A commonly discarded item, the collar is in actuality full of tender meat, fat that just leaves the bone with only a tender flick of chopsticks, and of course – a boatload of flavour. 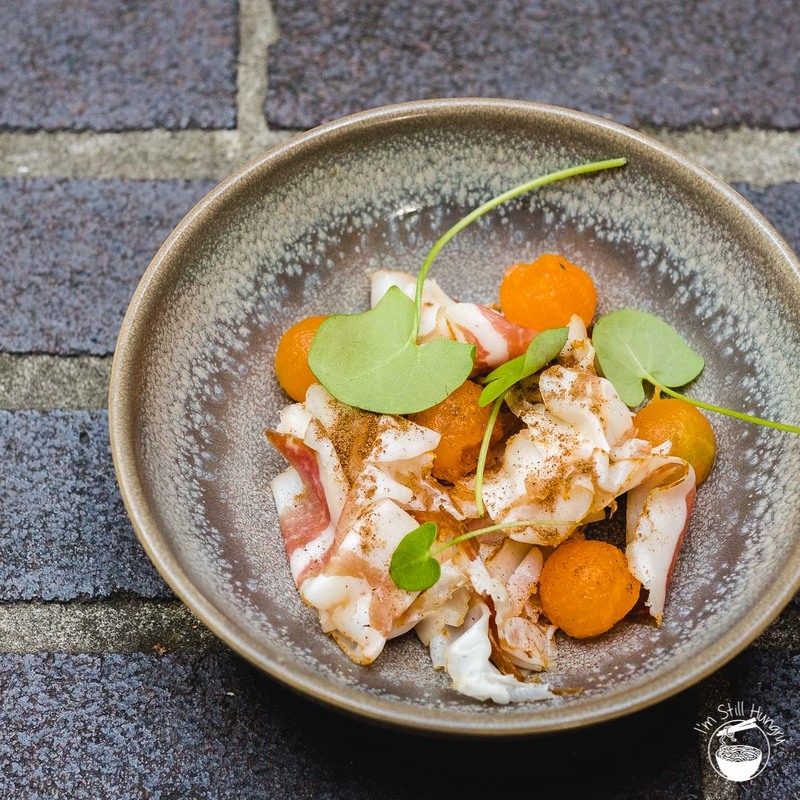 If it’s good enough for master sushi chef Takashi Sano at Sokyo, it’s good enough to be on Monkey’s Corner’s menu. 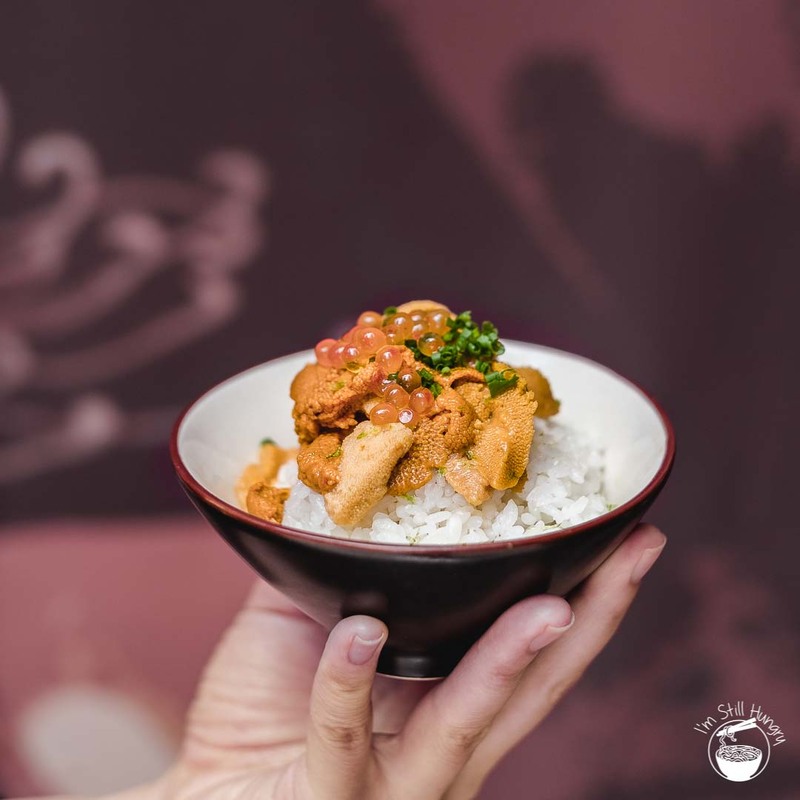 I’m not much of a betting man, but I wouldn’t shy away from wagering that a significant number of my readers wouldn’t have even heard of Monkey’s Corner if it weren’t for the uni & ikura rice bowl popping up all over Instagram over the last few weeks. And hell yeah, why not? It’s a rare example of a dish that tastes even better than it looks – and it’s already a stunner to begin with. Let’s be honest, there’s not much to say here: uni and rice is a combination that sucker-punches your face with umami, as anyone who eats sushi regularly would know. The sweet, salty song of uni and pillow of warm rice is not easily replicated, and those that poke fun at people who describe its flavour as that of ‘the sea’ clearly need to try it themselves. 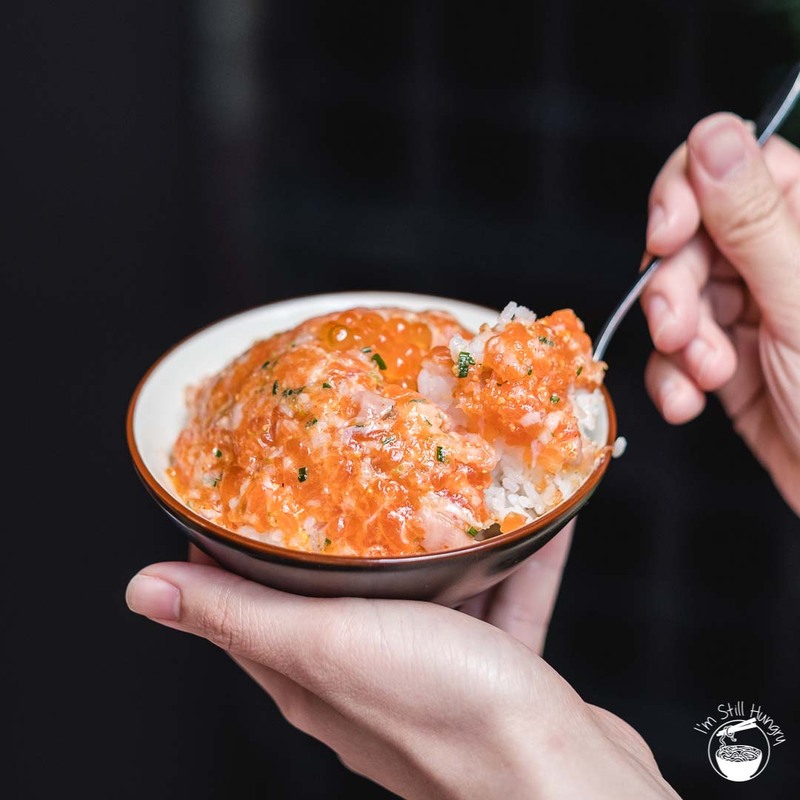 It’s not flawless: a little bit more uni to ensure ensure all of the rice gets some umami love, or extra ikura for a less expensive approach would have gone a long way to fully balance out the dish. You might pay more, but it’s already $35 – what’s a few dollars more to make it perfect? Note: available on weekends only. Speaking of perfection, that’s where the spicy trout belly rice bowl gets really, really close. There’s extra meat, extra fat, and extra flavour. Some scallions and eschallots add a little bit of zing, with the same warm rice goodness as found in the uni. I did say ‘really, really close’ to perfection: just an extra pinch of salt, or serving a soy-infused rice would have done it. If I was making this at home, I would also add some nori & mini-diced cucumber for extra freshness. In the end, I prefer the trout rice bowl. Let me know which you prefer in the comments below! Usually, orders of vegetable dishes at restaurants are made in error, swiftly rescinded, or under duress of another (typically vegetarian) diner. Jokes aside (I love vegetables! ), the sweet corn & gochujang was a unique enough proposition that I decided to pay the $8 in trying out this spicy number. The gochujang’s intense, salty & fermented taste lived up to its promise – building up to an appreciable level of spice, though never so much that anyone who is OK with spices will be overwhelmed – the butter took care of that. The boiled corn was itself sweet & juicy, which nicely contrasted with the chilli. 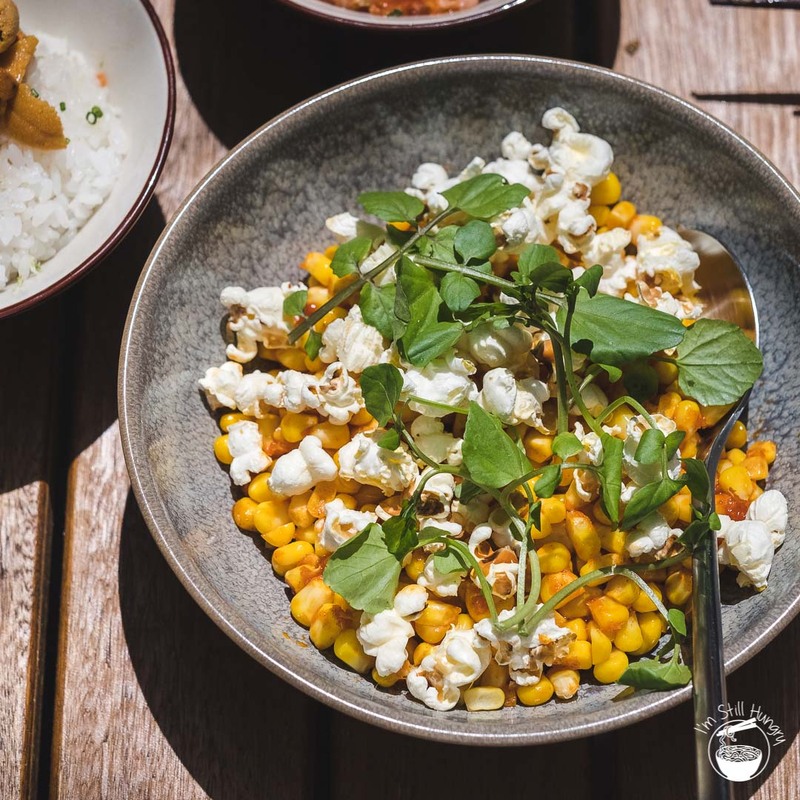 However, I wasn’t a fan of the popcorn – it didn’t mesh well with the sweetcorn texturally, and there were lots of corn that wasn’t properly popped. There’s a lot of other good stuff on the menu, so save the stomach and pass on this one. Well, unless you really like corn. Another squarely ‘bar snack’-esque dish of pancetta & marinated rockmelon was as innovative as it delicious. The pancetta, with more fat than meat, fell apart in the mouth and delivered plenty of flavour. The boozy sweet rockmelon then came in, serving as a palate cleanser of sorts that for reasons beyond my understanding, worked very well in complementing the pancetta. A Poernomo twist on a classic Italian flavour combo. 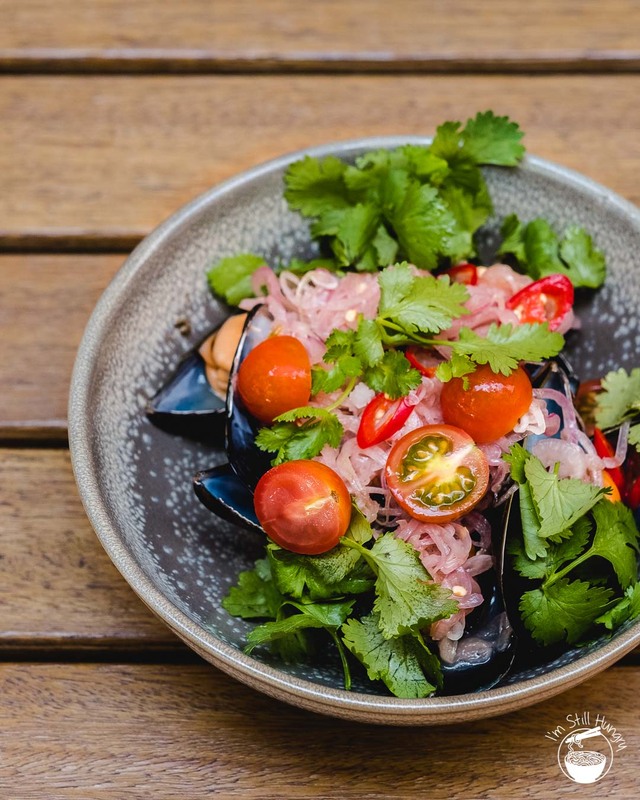 Plump, juicy steamed Spring Bay mussels, with a spicy Indonesian-style sambal was yet another notch on an already heavily-marked docket. I’ve got a lot to learn about Indonesian food, but to me, this dish was quite Thai in flavours: spicy, slightly fishy, and aromatic. Regardless, I loved it: where’s the bucket-sized option? As the lone dessert on the menu, Monkey’s Corner has no room for error with the KOI bobba. A risky gamble, especially given that this is the Poernomo’s take on the beloved Thai bubble tea. Hah, who are we kidding? Let’s not forget who we’re dealing with here. Besides, this dessert more or less comes straight out of KOI itself. If this the Poernomo bros’ idea of a dessertified Thai bubble tea, then I want them to dessertify all the drinks. Every element of the KOI Bobba came out strong: a gorgeously smooth coconut ice cream that didn’t shy from the coconut, a marshmallow-soft, nutty hazelnut sponge, and the luscious Thai cream all made excellent impressions. Of course, it’s how they combine that made it work: and if you’ve ever had KOI’s plated desserts, you know it does. The only aspect I wish would be improved is the strength of the tea flavour in the Thai tea cream. It was slightly lacking in tea punchiness. It’s been awhile since I’ve been genuinely excited about a new venue. I try to eat well whenever I eat out, but there’s a difference when I review a restaurant as ‘good’ (and then never returning), versus ‘I can’t wait to come back here’. That’s why Monkey’s Corner is the first place in a very long time to get 8/10. Yeah, I really can’t wait come come back: good stuff’s happening here, there’s no monkeying around. This post is based on a partially-compensated visit to Monkey’s Corner and another six visits since original publication date (see beginning of the post for specifics). The venue, concept, and menu is slightly niche. In a fickle city like Sydney, it might not stick. Would I return: Oh. Hell. Yes. Insane photo shots! Food looks really good. 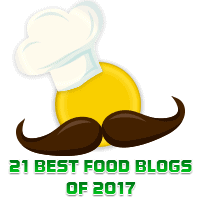 Great blog.. nice thanks for sharing..